Everything in the last year has come down to the big question: Can Satori sail long distances? Can she motor until she runs out of fuel? Can she keep me and anyone else on board safe under most circumstances? Is she still a capable vessel? 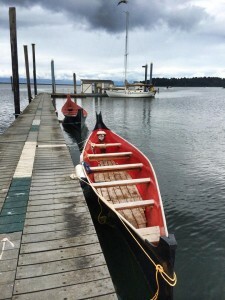 You won’t hear very many people telling you that they have been to Neah Bay and back in a sailboat during a period of variable weather. 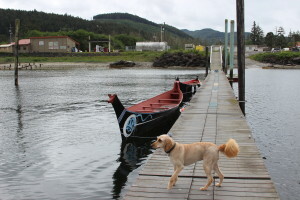 We planned for a twenty-two hour motor all the way to Neah, with my dog Sasha and my buddy Ryan. 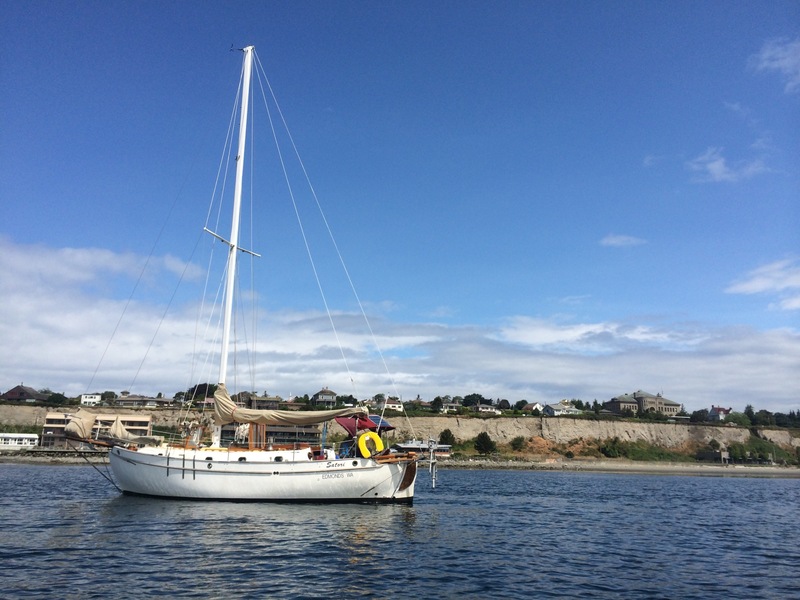 My goal was to average five knots under motor, which included both an incoming and outgoing tide and west winds up to twenty-five knots. 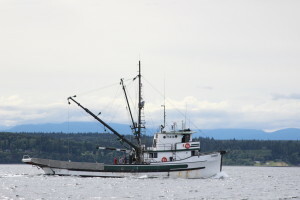 We left Seattle on Thursday around 3pm, fully loaded with food, beer, fuel and fishing gear. Fishing looked to be really good out there, with people targeting halibut and lingcod but also king salmon and flounder available. I decided to purchase an EPIRB to add to the arsenal of safety equipment kept on board. I really wanted radar but there just wasn’t enough time and budget to install it before we left. We made great time getting to the eastern entrance to the Strait of Juan de Fuca. There were winds up to twenty-five knots at one point. Somewhere around 3am we also encountered large cargo ships coming from our stern and had to be sure to keep the waves quartered on our bow so we didn’t get rocked too hard. At about 4am Ryan finally decided to try to get some sleep in the settee under some rough waves but about an hour later I encountered some pretty big seas and they were breaking on occasion. I’ve never been in any situation where the waves were so steep and powerful. I would hit a wave, drop off the other side, hit another one right away, drop off and the third one would come at a different angle and hit the boat hard enough to stall it out and stop any forward momentum. The prop would also come out of the water from rocking back and fourth so much. We were at a point where running downstream was a safer option but then we also decided to reach in closer to shore to try to get out of the gut of the strait. Although we didn’t turn back, hugging shore a little closer helped out quite a bit so we kept on going. 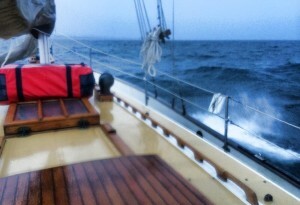 Halfway up the strait we hit the great Pacific swell and started to navigate incoming rollers. They were steep because of the outgoing tide against an opposing wind but not big enough to stall the boat or cause us to consider turning around. At one point I found the sweet spot and was riding the waves comfortably with a nice rhythm. We kept on motoring until we hit the final mark just outside of Neah Bay. Exhausted, I inflated the dinghy and motored poor Sasha to the rock jetty that protects the bay so she could do her long needed business. Too tired to cook or eat, I let out more rode on the chain anchor and backed it up with the second anchor and finally set the anchor alarm and crashed at hour twenty-six after leaving Seattle. 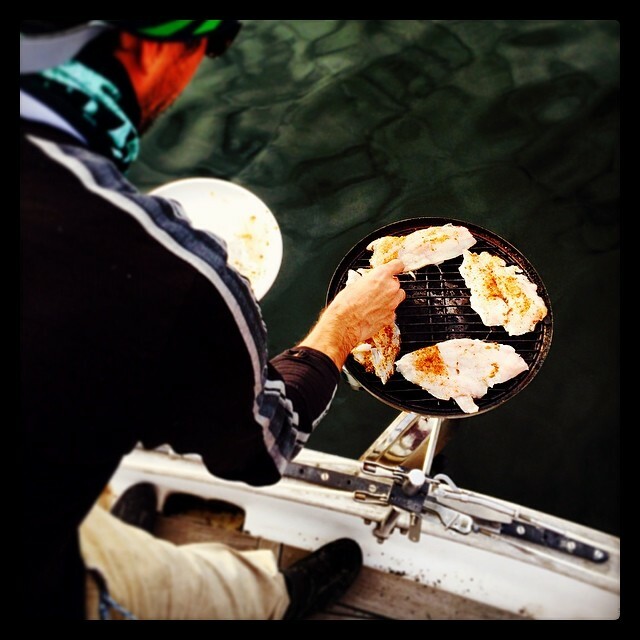 The next morning we woke up groggy and realized that there was a massive halibut tournament going on. We fueled up at the dock and were hurried off just in case a tournament fisherman came back. No room in the marina either. So much for checking out Neah Bay town. We motored out and started fishing just outside of the bay. There were several boats in every spot that seemed fishy. We hooked a couple of flounder and were glad that we had some fresh fish to catch, regardless that they were sole. After many hours of trying to drift and jig on the bottom, we gave up and headed back to the bay. Just as we were within a hundred yards from our anchorage, some jackass fisherman decided to cut us off and drop anchor, knowing that we were headed there. We picked the wrong time to visit Neah. Next time, just keep on going…then head left. 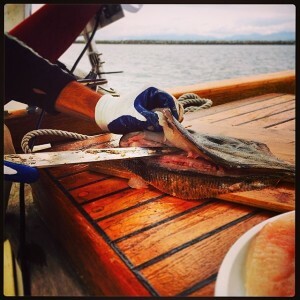 After setting anchor I filleted both fish which produced plenty of fish to eat for the both of us. We called it a night and did another night of sleep before pushing out of the strait the next day. The way out of the strait was pretty uneventful. Somewhere at the border of the two fishing regulated zones we encountered a huge amount of boaters fishing right on the border. I called into the Coast Guard to see what was going on, wondering if it might have been due to the sailboat races that were happening that day but didn’t get much information. I picked my line and headed into the crowd, hoping no one would change their position. After successfully passing the crowd we had more uneventful motoring in almost no winds and calm seas. 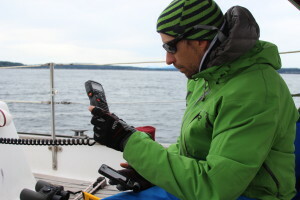 Ryan crashed for a few hours and I made the call to head all the way to Port Townsend and anchor in the dark. Around 10pm we finally pulled up to the town front to scope out the anchorage. Too many boats there so we headed past the ferry terminal and found a spot close by away from any other boat. It would have been nice to have radar. The next morning we decided to skip going into town after reading a good forecast for winds in the North Sound. 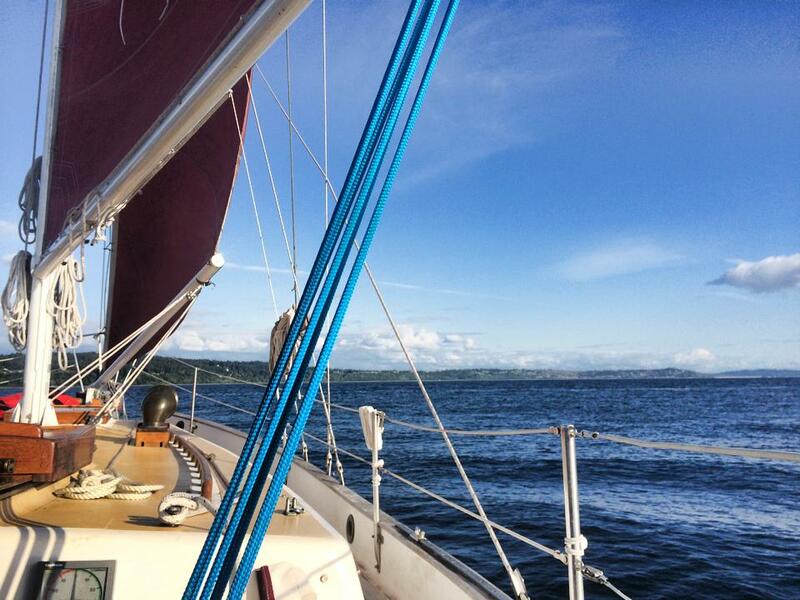 We sailed off the anchorage in good style and then headed out of the bay and around the point, into the Sound. The winds died and so we motored for a short time, until the winds were ten knots on our hind quarter. 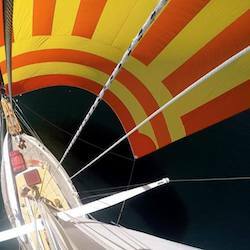 I put up all sail and let Satori run downwind. We made great time heading south and it was apparent that we would be able to sail all the way to Shilshole so we kept on, a day early from our expected arrival. About two miles north of Shilshole the winds picked up and the seas became big, confused and rolling. At one point I asked Ryan to go forward and drop the jib. He did well considering we were on a broad reach and the jib was in the water and flogging. 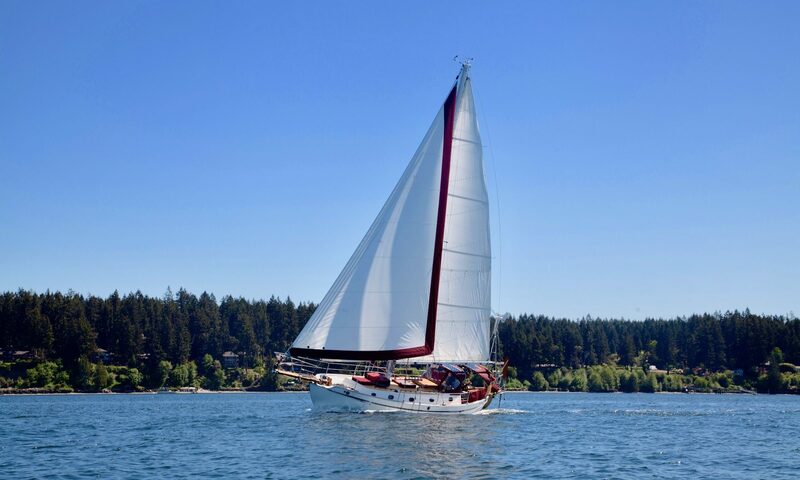 After that episode we were running downwind a mile from Shilshole on just the mainsail, with the staysail up but only in case we needed to turn up and have a foresail to keep pointing up. It’s the first time I have experienced such strong following seas and at times the stern would get washed out. It took some deliberate care to keep from getting caught broadside to the waves, which could have rocked the boat dangerously. Within a half a mile from the entrance we needed to make the final maneuver to drop the mainsail so we could get into the marina. The seas were breaking in parts, the swell was bigger than I wanted and I had to head up and get the main down. My plan was to first release the halyard on the downwind part, then head up and have Ryan pull the mainsail down with the correct timing. Once I headed up, he was able to drop the mainsail, and then head back down to get into the safety of the marina. Finally we pulled into the slip and it was all over. One hell of a ride. 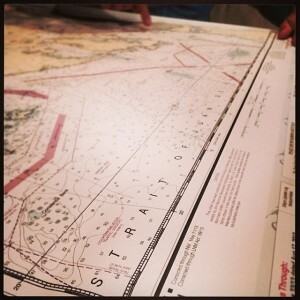 What does it take to be a competent sailor? I’m heading to the ocean next year. Do I have what it takes? Well, proper seamanship has much to do with experience. I can’t say that I’m the best sailor but I feel competent after this trip. Satori’s engine ran strong without issue the whole time and I discovered exactly how dependable it is. The entire system is in great working order. 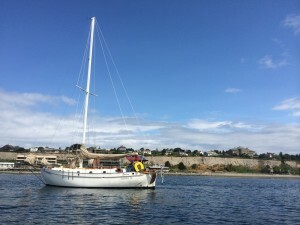 All of her most recent upgrades work without any issue and I have a pretty good idea on what to do to get her even more comfortable and prepared for the great Pacific Ocean. I doubt I will be able to do another big trip like this one until next year. Until then I will keep the upgrades coming. I will keep making her even more seaworthy and keep taking her out to challenge my capabilities. 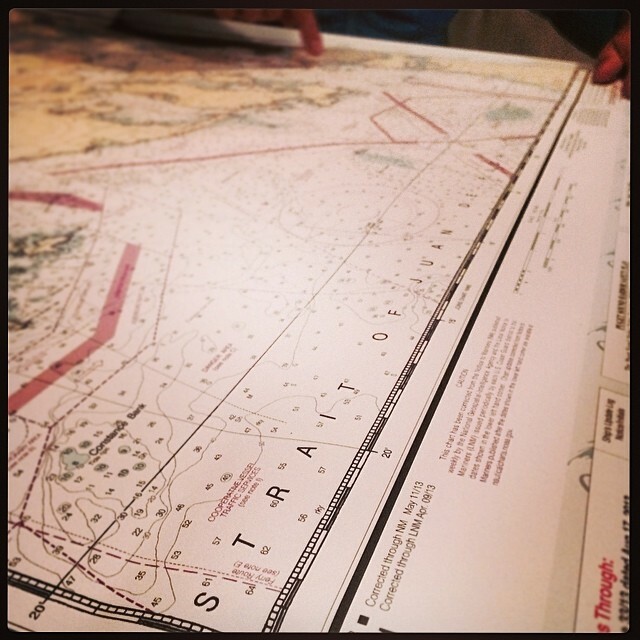 As far as taking on crew, it’s best to find someone who is clean, organized, motivated, respectful and seaworthy. Perhaps this was the most important learning experience this time around. oh that is my canoe in the photo… is it okay for me to use that photo? When are you going out again? I’m fixing up my boat in Seattle.